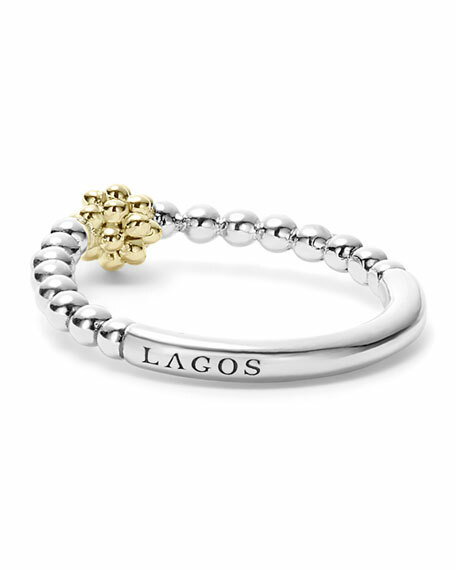 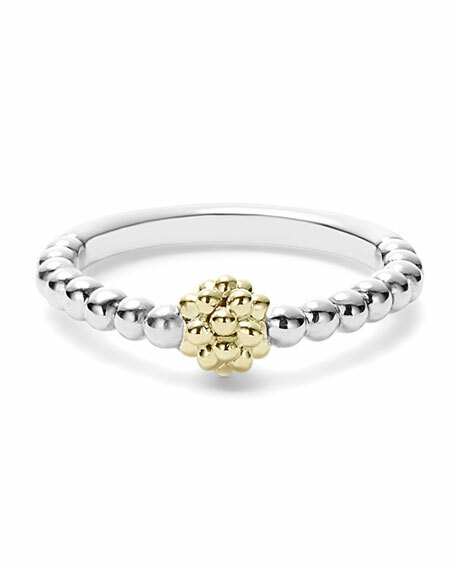 LAGOS ring from the ICON Collection. 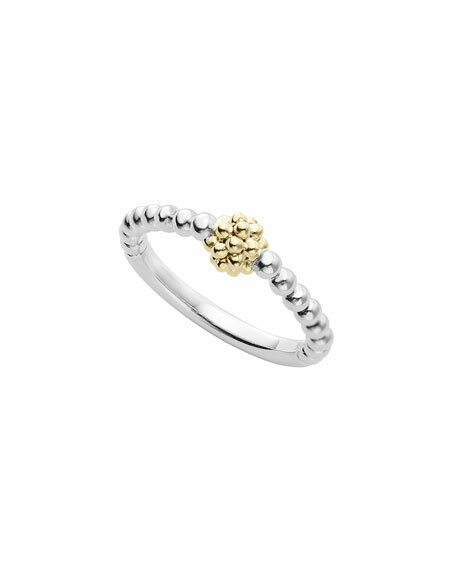 Sterling silver Caviar beaded band. 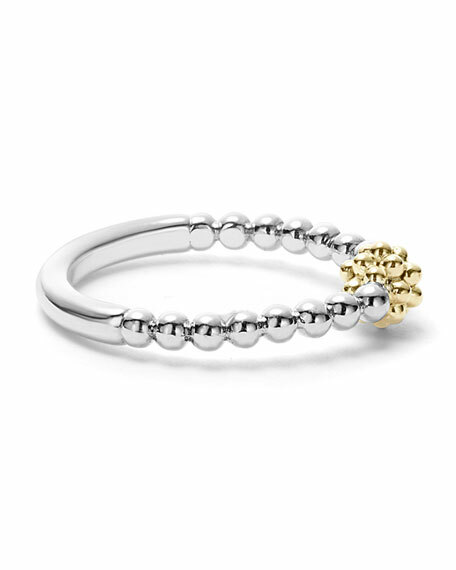 18-karat yellow gold ball station.